Editor’s note: We’ve long wanted to feature the Busara Center for Behavioural Economics in our series of posts around resource scarcity (introductory posts here and here) curated by Caroline Roux and Shereen Chaudhry, and this week the wait is finally over, with Shereen interviewing the directors of the centre. At InDecision, we’re excited about Busara because facilities like theirs offer fantastic opportunities to test out theories in different cultural contexts to establish the generality of our findings which, as professor Dan Ariely highlighted in his interview with us, is one of the challenges facing the field in the next 10 years. Without further ado… over to Shereen and Busara! I recently found out about a very valuable research opportunity: the Busara Center for Behavioral Economics. 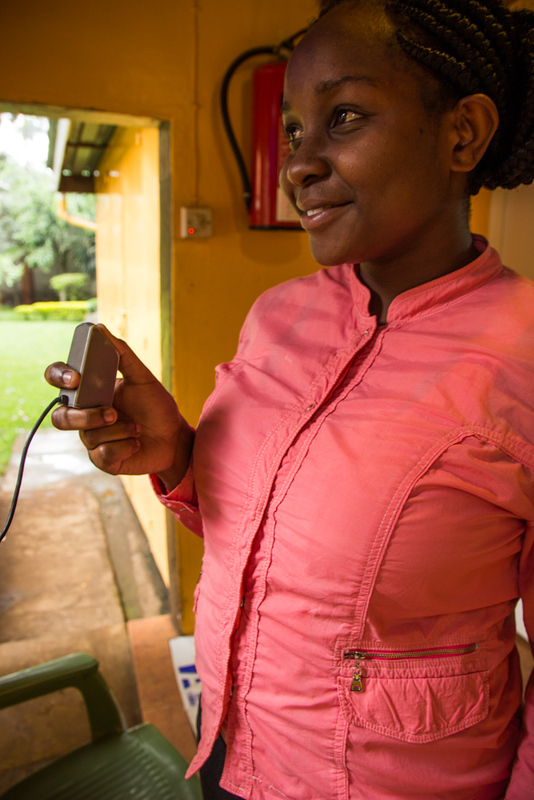 Located in Nairobi, Kenya, the Busara Center is a unique resource for conducting social science experiments and surveys in a developing country. The most surprising things I learned about Busara are (1) that it is as carefully controlled and high-quality as an experimental economics lab in the U.S., (2) you don’t have to be interested in development to run a study there, (3) not only do most studies involve programs run on zTree but Busara can even program your zTree experiment for you, and (4) you don’t have to travel to Africa to run a study there! I recently spoke with the three directors of Busara to get their perspective on establishing and running this center – Johannes Haushofer is the founder and scientific director, Chaning Jang is the associate scientific director, and James Vancel is the managing director. Below these three give us more insight into the center, including their own stories of the opportunities and challenges they have confronted. From left to right: Johannes Haushofer, Chaning Jang, and James Vancel. And for those of you whose interest is piqued, at the end is an “everything else you wanted to know” section, with information on things like how subjects are recruited, how the anonymity of subjects is maintained in the lab, and how IRB is dealt with. Who are you three? What is your background, and how did you meet? C – I’m a 4th year PhD candidate in Economics studying at the University of Hawai’i at Mānoa. Before my PhD I was an English teacher in the Czech Republic and a equity/futures trader in Los Angeles. V – I have a BA in economics and international studies from the University of Arizona. Prior to joining Busara I was overseeing a couple of randomized field experiments in Western Kenya. J – I have a background in neurobiology and economics, and for the past few years was a Prize Fellow in Economics at Harvard and a post-doctoral fellow at the Poverty Action Lab at MIT. In the fall I will be an assistant professor at Princeton University with a joint appointment in the Psychology Department and the Woodrow Wilson School of Public & International Affairs. C – We met quite serendipitously actually. My wife, Traci, was headed to Kenya to be the client relationship manager at Zidisha (a p2p microfinance institution) and I followed along for the experience. Because my interests lie in development and behavioral/experimental economics I decided to google what was out there. Busara was the first hit, and the rest is history! We were very lucky with James. His previous project was finishing and Johannes managed to convince him to move from Western to Nairobi to continue working with us. What was your main motivation in setting up (or getting involved with) the Busara Center? It seems like a lot of work to create something that functions essentially as a public good for others, since you are not charging to make a profit. J – There were two main motivations for setting up Busara. First, my research question is whether poverty has psychological consequences, and whether those, in turn, affect economic behavior in ways that might be disadvantageous. We originally set up Busara because we needed an infrastructure to do this research – we wanted the control and rigor that a lab provides, but we also wanted to be able to work with the population that we ultimately want to serve. The second motivation was to create a public good. I think that highly controlled lab studies can be a powerful tool in hypothesis testing or generating new ideas for poverty alleviation programs that can then be evaluated using large-scale randomized controlled trials. I wanted to give other researchers the opportunity to conduct such lab studies in a developing country. I also thought that a unique “non-WEIRD” subject pool would be of interest for behavioral or experimental economists, regardless of whether they were interested in development. Finally, I wanted to create a base for behavioral economics in Kenya. I believe that we can use behavioral economics to inform development policy, so creating an institution dedicated to generating behavioral knowledge in Kenya was an obvious choice. What are your goals for the center in the coming years? How do you expect it to grow? C – We have three main goals in the coming years. First, we would like to simultaneously reduce costs and remain financially sustainable. This means getting more research projects into the center – each project contributes to our fixed costs, making additional projects cheaper to run. We hope to provide the local expertise and knowledge to guide researchers through the process of producing high-quality research with reliable results (both in terms of monetary and psychological costs) as any decision making lab at their home university. Second, in the fall of 2014, we will be setting up Busara North America: this will be a lab in a low-income neighborhood in Trenton, NJ, which will give researchers access to a unique subject pool in the US. The infrastructure of this lab will be identical to that of Busara Kenya, so it will be easy to run comparative studies. And finally, we are about to launch a consulting arm of Busara, with the goal of making our knowledge about behavioral economics accessible to developing country governments and international NGOs. We see lots of opportunities for policy-makers in developing countries to leverage behavioral economics to achieve the outcomes they desire, and we we want to make Busara’s expertise in the domain accessible to them. 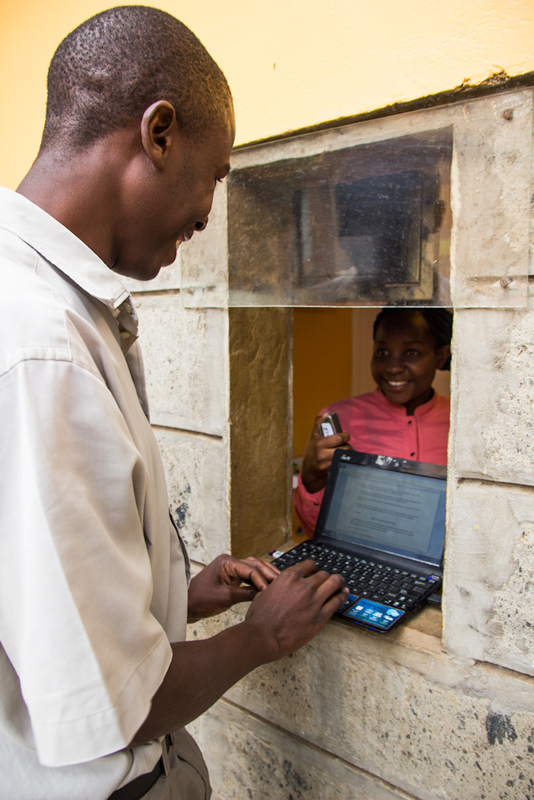 Can you describe the major obstacles you faced in setting up the Busara Center? Any interesting stories? C – I think the biggest obstacle is understanding how difficult logistics can be in setting up a lab. Importing computers is a long, slow process, but necessary as electronics prices are double or triple what it costs in the US. Securing necessary IRB and government research permits can be onerous as well. Finally, creating a subject pool and recruitment system is much more challenging than at a university. At a university, one can rely on official email and student ID for enrollment and verification. In Kenya, particularly among the subject pool we work with, we don’t have the same luxuries. Email usage is low, and government identification is unreliable. V – We have taken a significant amount of care and time to develop our fingerprint enrollment/verification system and SMS recruitment. We also had to invest a great deal of time and energy in ensuring we had full buy-in from the local community. These games can be a bit strange to potential participants at first, but by working with local chiefs and village elders we were able to achieve the necessary support and trust from our respondent pool – crucial to our success, but a lengthy process. What are the main cultural and societal differences between Kenya and the U.S. or Europe? It seems important for potential users of Busara to have some expectation for how Kenyans might respond differently in an experiment or to a survey than American and European subjects. V – Culturally Kenyans are very friendly and welcoming. Certainly some of the friendliest people I have ever met. I would imagine this manifests itself in social preference in some way. Another interesting thing is the strong use of ethnicity as a source of group identification. Amongst the urban poor that make up the majority of our subject pool, many are migrants from other areas of Kenya. This adds a unique dynamic between individuals. How these factors manifest themselves, I couldn’t exactly say, but I think that is part of the beauty in Busara. The fact that we don’t exactly know how participants interact differently (if at all) from western populations is a powerful testing ground for external validation or theory testing. What sort of outreach are you doing to get researchers to use Busara? Are you facing any challenges in getting researchers involved? J – When we were first getting started, we did send out some information about our lab to some listservs. Since then, we have been relying on personal networks and word-of-mouth of outreach. C – Yes, for sure being a part of Innovations for Poverty Action is helpful with regards to getting our name out there. Many of the IPA project PIs come through our offices when they visit their projects. But many of our researchers either know Johannes directly, or are referred through word-of-mouth. Given that we haven’t done much direct outreach, I would say the challenge of getting researchers interested falls on our shoulders, but we hope to expand our efforts this year. What are some of the drawbacks of conducting a study in a developing country that Busara has not been able to address? V – I think the biggest drawback is the difficulty in reducing the information gap for prospective researchers. I think that researchers generally have two concerns when facing the prospect of doing research in a developing country: 1) Lack of local knowledge or context, 2) Concerns about data quality. To address 1, we always encourage researchers to come visit if budgets allow. In addition we are working on providing more background knowledge of our subject population (including demographics relative to Nairobi and Kenya). We also assist in conducting more open-ended qualitative work that can be very useful in providing context. Regarding 2, I think it will take some time to build Busara’s reputation as a source of high quality data. Researchers who visit the lab are always impressed by the quality of the systems and staff that we have on hand, but it is a challenge to convey that information from abroad. Describe the best experience you’ve had with Busara. C – This is totally cliché but the people are definitely the best part about Busara. I have the opportunity to work with researchers at the very top of their respective fields, and it is such a delight to be able to see their thought processes and get insight into their world of research. Even more than that, I love the opportunity to work with the community. I am passionate about development and learn so much every time I speak to a participant, or go to a field site. Whether it’s researchers, Busara staff, or participants, I am never lacking for a stimulating conversation, or a good laugh. 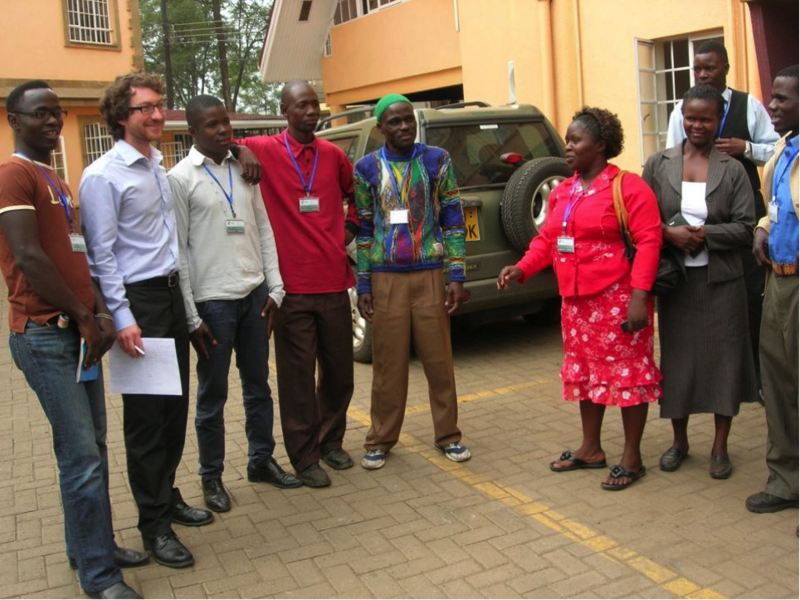 A group photo was taken after the first experimental session held at the Busara Center. Photo credit: J. Njoroge, G. deGiusti, and M. Collins. J – I still remember the first ever session we ran at Busara. I was seldom so stressed. We had twenty participants who had little idea what to expect, a study protocol on which we had worked until the morning hours, and a computer network that kept crashing. At the time we also didn’t have a power backup system yet, and the power went out three times during the study. But: somehow we still managed to collect all the data, and the participants were wonderful – they not only sat through what became a four-hour session, but were even excited enough to take a group picture afterwards. This was my favorite Busara moment. V – When we first implemented our “mobile” lab — essentially the same general setup, but on touch screen tablets with a mobile server, battery backup, and lab partitions so it can be deployed anywhere in the country or even world – we had to spend an enormous amount of effort trying to figure out and pilot a lab that could be deployed and taken down in a matter of hours. We made our first trip to a small fishing village outside of Kisumu and of course everything that could go wrong did, the server went down mid –session, the battery backup died, networking connections dropped, too many respondents wanted to participate, but alas after 2-3 days of troubleshooting, we had perfected every system and were comfortable running 80 respondents per day in this tiny village in Western Kenya with some very complicated public goods and market games. The Busara – Kenya team is exceptionally motivated and extremely dedicated to the rigor of the research and the engagement of the respondents. Working with individuals with such commitment makes my job an absolute delight. About how many studies have you conducted? How often do you receive requests? Of those requests how many researchers actually visit the site? J – Including internal research, we’ve conducted about 20 studies now, with just over 12,000 participants. We receive requests a few times per month, and roughly half of them turn into full-fledged projects. In the majority of the studies we have conducted so far at least one of the researchers on the team has visited the site. I do think this could be changing as we do a better job of providing qualitative and contextual information to remote researchers. V – Yes, many times someone from the project will come early on for context reconnaissance and pilot testing. They usually do not stay for the entirety of implementation. We like to stress that data quality is our top priority and that remote studies are totally feasible in practice. Generally though, researchers do learn a lot from visiting. It doesn’t hurt that Kenya is such a beautiful country to visit! What topics have been researched at Busara? Have any papers been published from research done at Busara? J – We have conducted a wide range of research at Busara. Internally we have been looking at how stress modulates decision-making. Other research runs the gamut from testing mobile savings devices to why people lie to how ethnicity and politics are intertwined. We have economists, political scientists, psychologists, ecologists and others from all over the globe conduct studies; it’s a really great interdisciplinary environment. There are a few working papers making the circuits, although due to the relative youth of the center, little is published yet. What is the one thing you want readers of this blog to take away about Busara? C – Busara is a world-class research institution that can conduct a variety of research. We have done projects across many different disciplines, from a few dozen subjects to a few thousand. We really encourage interested parties to reach out to us – we look forward to conducting interesting research with people from around the world. J – Researchers who want to answer interesting questions in economics, psychology, political science and other disciplines should not restrict themselves to student subject pools. Busara makes running experiments with a more representative subject pool easy and high-quality. The directors, who are researchers themselves, value high quality research, and thus, are committed to ensuring quality in running studies at Busara. This means the requesting researcher does not have to be present to conduct a well-run study in Kenya. How does the center ensure quality? For one, researchers are asked to send a script they would like to be read in running the study. This script is translated into the local language and then translated back to English to confirm the correct message is delivered to subjects. Dry pilots are run in which those administering the study can practice saying the script and can run through the computer program without anyone there. Before each experiment, subjects receive a tutorial on how to use the computers. Furthermore, the directors have built many more comprehension questions into the instructions than is standard in developed countries. Two- to three-times as much time is budgeted for each study in order to make sure subjects really understand the instructions. In addition to these measures, the center is open to extra quality measures at the request of experimenters. For instance, they can videotape sessions if need be, or add extra comprehension questions to the instructions. The advantage of using Busara comes the fact that the directors have already jumped through the hoops one faces in conducting research in a foreign country. First, the center has trained and experienced staff to conduct both the lab and field experiments. This overcomes the fixed costs many have to invest to acquire the knowledge or skills of running a study in a developing country. Second, they have trained locals to run the studies, avoiding the problems introduced when Westerners run studies themselves in another culture. Also, this staff is experienced at running lab studies, particularly in a developing country. Lastly, the center not only has expertise in Kenya’s IRB process, but it also has a blanket IRB that covers most standard economic games. The center has a computer lab with 20 computers and high partitions, four survey cubicles, a waiting room, and an office. Computers are touch screen, which is necessary because many people have not seen a computer and are unfamiliar with a keyboard. The computers and staff are equipped to run several computer programs including zTree, and internet-based programs like Qualtrics and Flash. Pen and paper experiments are also possible. For those who are unfamiliar with programing in zTree, the staff can write the zTree programs for you. Field studies can be done in two ways. One is with the mobile lab, which has 28 touch screen tablets. This allows the researcher to go to rural areas, rent a building and set up a temporary lab that is similar to the lab in the main center. The second way of running a field study is through Busara’s partnership with Innovations for Poverty Action (IPA), run by Dean Karlan. This program can help the researcher to conduct randomized controlled trials (RCTs) to test the efficacy of development interventions. They have a trained a team of surveyors that can run a baseline survey, conduct the randomized intervention, and measure outcomes. Busara has its own IRB from MIT that covers a broad range of standard economic games. Additionally, it has an IRB from a local university in Kenya as well as a research permit from the Kenyan government, both of which are required to conduct research in Kenya. Until now, most researchers have requested studies that already fall under Busara’s IRB. However, for studies that are not covered, Busara can simply apply to the university for an amendment to their own IRB. The length of time it takes for such an amendment to be approved is about two to three months. Since Busara has built a relationship with the university, the IRB process is likely much smoother than it would be for individual researchers applying on their own. Given the current use of Busara, one is advised to budget between $25-$40 per participant. However, as more people use Busara, this fee will decrease. The reason is that Busara has the opposite model from most labs: it pays low fees to participants by Western standards, but has a high administration fee because it is not subsidized by any institution. This administration fee is charged through a fixed per participant fee, such that the more researchers they have using the lab, the lower the administration fee will be. Additionally, these administration fees vary based on what the requesting researcher requires of Busara. For instance, if graduate students wanted to come to the lab to do some work and they don’t need the center to code their zTree program for them, they could receive a discount. There are two main subject pools. One consists of about 5000 poor people from two different slums in Nairobi, and the other consists of 200-300 students from the University of Nairobi. However, if researchers are looking for subjects different from those in these pools, Busara can help recruit people from any strata or type of society. For instance, the mobile lab could be used to recruit people from hunter-gatherer societies. 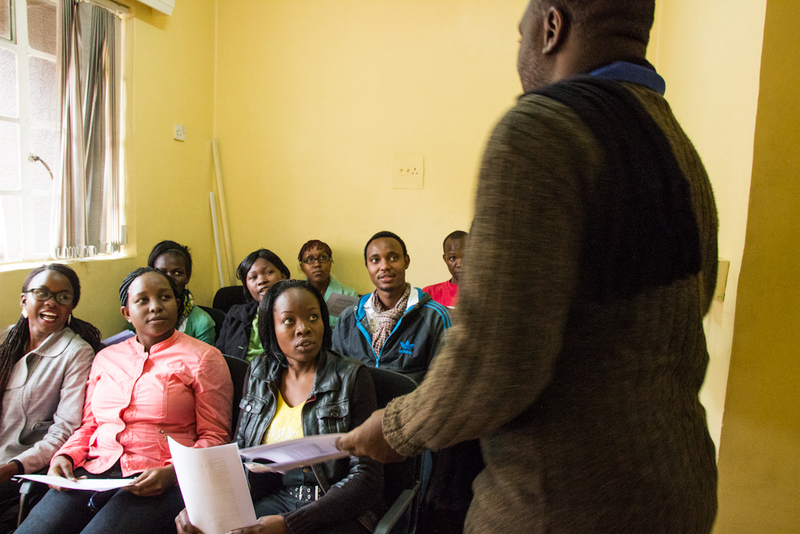 In order to recruit from the slum neighborhoods, the center collaborates with community mobilizers, who are well-connected people within a given community, to hold recruitment days. The community mobilizers work with the center to get people interested in participating. During the recruitment drives, Busara staff members take demographic information and get thumb prints from those interested. The thumb print is used when subjects are called into participate in order to verify the identity of the person originally recruited. This is the best way to prevent contamination of repeated people or false identity, since the pictures on Kenyan ID cards are generally of when people were infants. One advantage this recruitment process offers, is that demographic information on each subject is already collected and stored in the system. This not only saves time and money during the experiment, but it also allows you to conduct studies in which you want only subjects with certain demographic characteristics. Researchers can simply tell Busara staff about the sample they are interested in (e.g., gender, tribe, occupation, etc.). People fitting this criteria can then be randomly selected from the database. Study recruitment from the subject pool is done by sending people an SMS or by calling them. If a requester wants to do a preliminary survey for exclusion purposes, this can be done over the phone. 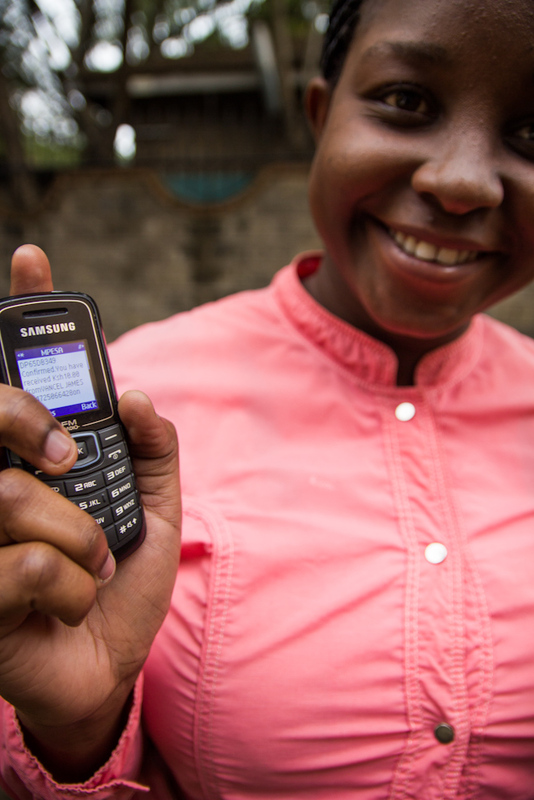 Payment is given to subjects via mobile money. This is usually done 3-12 hours after the experiment, but the timing of payment can be made more specific and/or delayed if this is required for the experiment (e.g., intertemporal choice). Furthermore, if the experimenter would rather cash be given directly to the subject, this can also be done. All subjects generally receive transportation reimbursements in the form of cash. Experimental economists might be particularly concerned about protecting each subject’s identity when an experiment involves anonymous decision-making. Anonymity is ensured in the following way. Each of the 20 computers has a static IP address set to a unique number between 1 and 20. When subjects check in at the entrance, they are randomly assigned a seat number corresponding to the computer IP address. The seat number is then plugged into the database and is used for assigning payment through zTree. The staff member that assigns seat numbers is different from the staff member who enters the seat number into the computer and sends subject payments to their mobile device. Thus, subjects are indirectly associated with their payment via their seat number. Subjects can be screened depending on the number of times they have participated in studies, and this can be set by the requesting experimenter. There are people in the subject pools with a range of experience, from complete inexperience, to those who have participated about five times. It is also known what studies people have already attended, so you can screen out people who have participated in a particular type of experiment before (e.g., other dictator games). Women tend to be more responsive than men, and this is likely due to the fact that men have more outside options in terms of earning money. 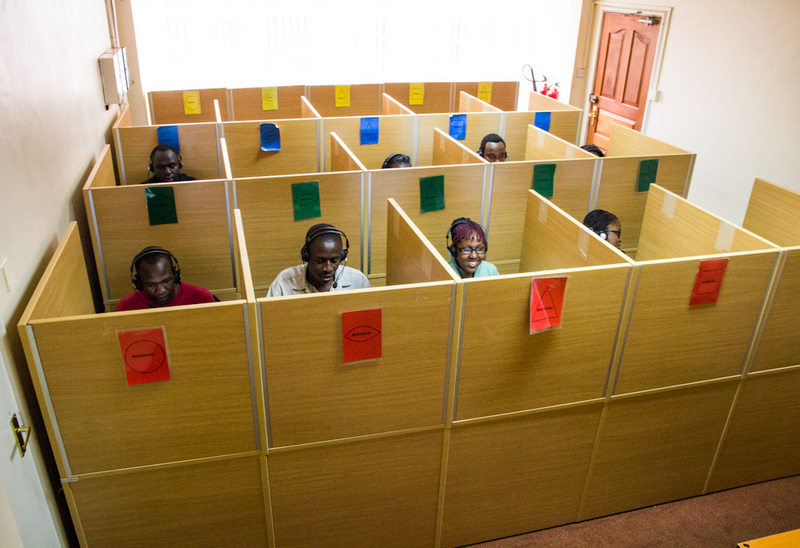 For subjects who are called on the phone, about two-thirds show up for the scheduled study. For those who receive a request over SMS, about half show up. Subjects are paid extra money to show up on time, resulting in about 90% of show-ups being on time. Any researcher is welcome to visit the center in person and conduct the study herself. The benefits of doing so are the ability to observe the culture, talk to people in the field, and pilot test. This entry was posted in Curations, Meet... by Shereen Chaudhry. Bookmark the permalink.